A NEW software system, Aderro, has been launched which provides all the necessary mapping and load information to drivers as they go through their day. 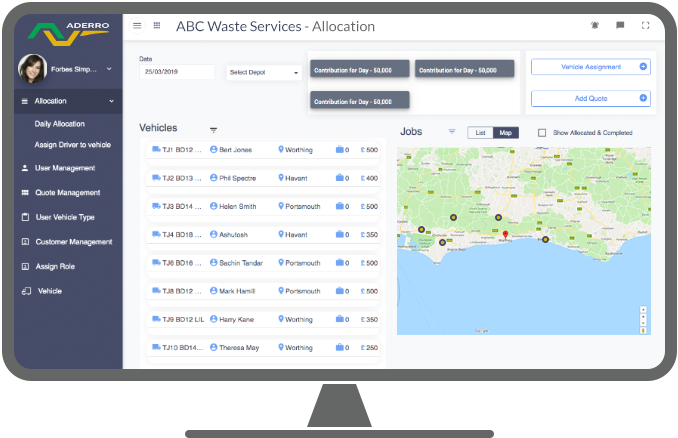 The innovative software system was designed specifically for waste management companies and streamlines the entire process of waste and bulk transport management. Their PC console provides quoting and comprehensive vehicle scheduling, from single deliveries to multiple loads and contracts, and the Android app provides drivers with all the information they need to keep moving and stay productive. A driver app provides all the necessary mapping and load information to drivers as they go through their day. Vehicle inspections and traffic bulletins are managed through the app as well as highly dynamic work schedule ensuring the maximum productivity from every vehicle. From the office, businesses will be able to quickly generate quotes for their customers and instantly turn them into jobs to allocate to vehicles. Comprehensive reporting and mapping will keep customers on top of the daily workload ensuring they remain competitive and profitable. It’s easy to install and set-up, is backed by a great support team in Manchester, and most importantly it’ll radically reduce paperwork.